Thank you for your interest in one of Kendall Audi VW Porsche's online offerings. 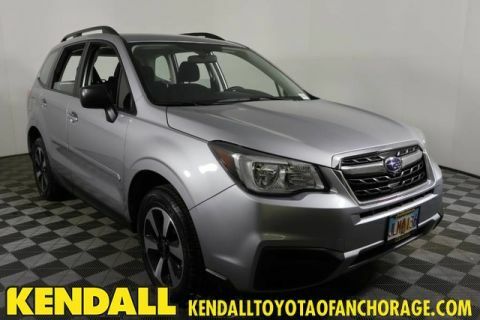 Please continue for more information regarding this 2018 Subaru Forester Premium with 17,449mi. Treat yourself to an SUV that surrounds you with all the comfort and conveniences of a luxury sedan. Save money at the pump with this fuel-sipping Subaru Forester. This AWD-equipped vehicle will handle beautifully on any terrain and in any weather condition your may find yourself in. 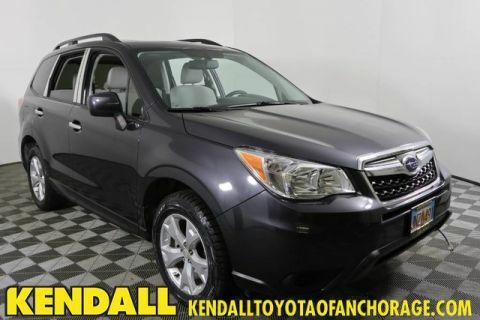 The benefits of driving an all wheel drive vehicle, such as this Subaru Forester Premium, include superior acceleration, improved steering, and increased traction and stability. The quintessential Subaru -- This Subaru Forester Premium speaks volumes about its owner, about uncompromising individuality, a passion for driving and standards far above the ordinary.